The Positively Posh wedding trend is passionate and feminine, Positively Posh is about discovering uniqueness and style. Delicate elements set against deep velvet and plum tones create a romantic couture look. 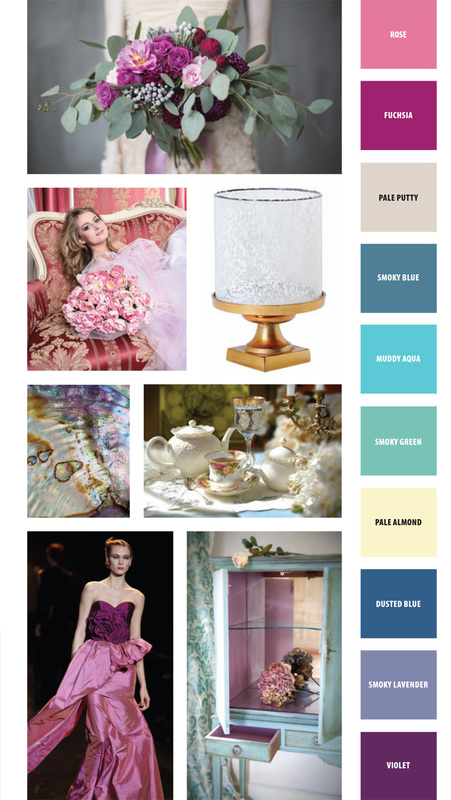 Grays, pinks, and light neutrals contrast with bursts of vibrant fuchsia and purple hues. 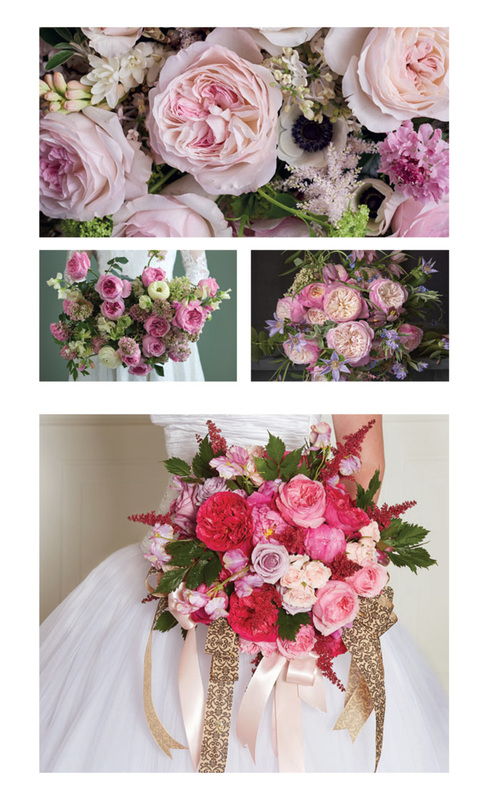 Freeform bouquets wondrously exemplify the radiant affection that envelopes Positively Posh. Positively Posh marvelously personifies all of the passionate sensuality associated with classic, old-fashioned English garden roses. Dreamy hues of subdued green and blue burst with the dreamy shades of romantic garden roses from David Austin Roses. 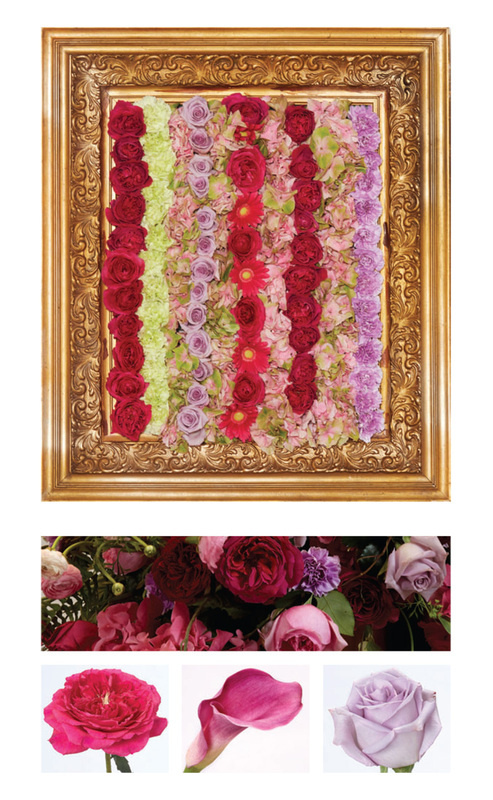 From the pink blush of Keira to the deep pink of Kate, David Austin Roses epitomize the timeless feel of Positively Posh! Positively Posh epitomizes a timeless design reminiscent of 18th century France. Its traditional romantic fashion exudes a whimsical and youthful feel in a style fit for royalty. Positively Posh’s delicate grays, pinks, purples, and neutrals extravagantly mingle through layers of soft, feminine ruffles. 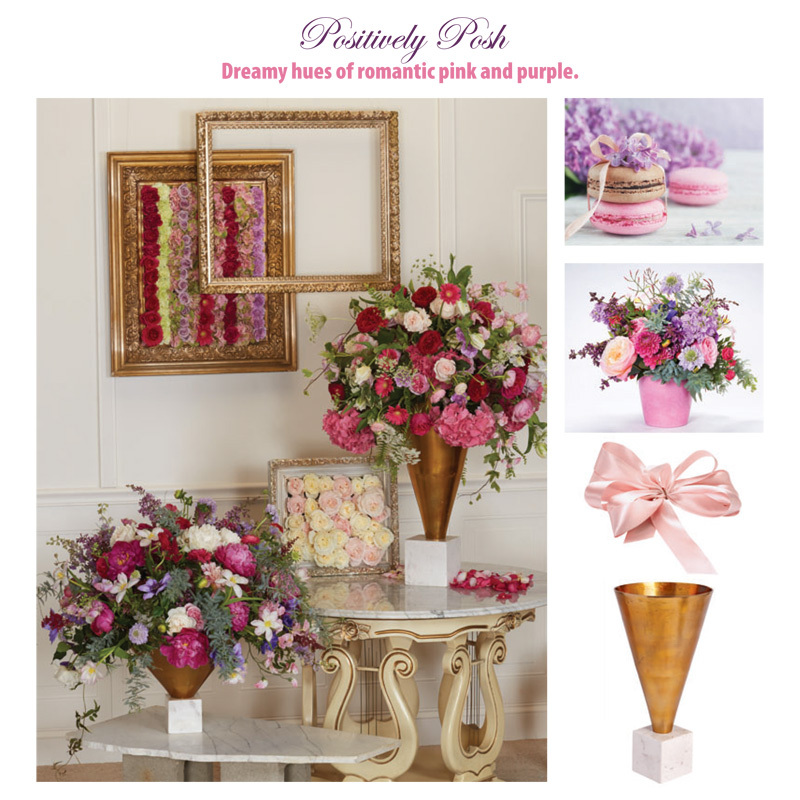 Ornate pink peonies, garden roses, and hydrangeas dazzle in gold pedestal vases. Dreamy hues of subdued green and blue burst alongside distressed golden accents and luxurious fabrics such as damask, velvet, and chenille. Plentiful shades of purple thrive in copious rose and gerbera daisy blooms while marble and soft, curvy lines provide this trend with an updated styling.